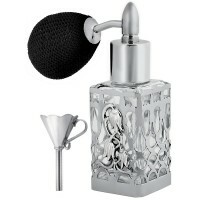 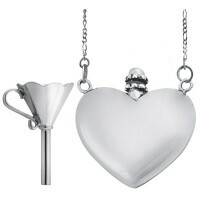 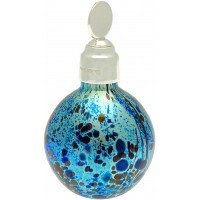 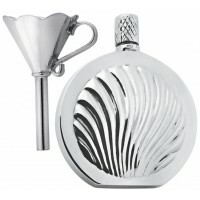 A range of enchanting silver scented gifts to turn heads and delight any special woman!! 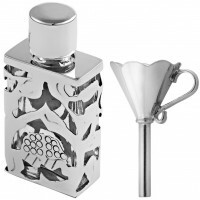 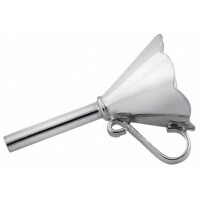 GT141 Perfume Atomiser Spray and Funnel Set Sterling Silver Ari D Norman Our hallmarked st..
GT 2203 STERLING SILVER AND MOLTEN GLASS PERFUME BOTTLE A uniqe women’s gift for holding t.. 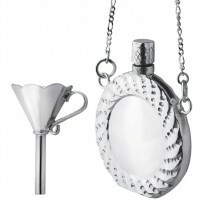 Glamorous and distinctive, this beautiful and unique women’s perfume atomiser is skillfully hand cra..
GT404 Perfume Bottle Funnel Sterling Silver Ari D Norman Buy this beautiful piece on its o..
GT452 Round Sea Shell Perfume Bottle and Funnel Set Sterling Silver Ari D Norman This..
GT486 Rectangular Perfume Bottle and Funnel Set Sterling Silver Ari D Norman Our ster..
GT558 Dressing Table Perfume Atomiser and Funnel Sterling Silver Ari D Norman Elegant..
PT438 Rope Design Perfume Bottle and Funnel Set Sterling Silver Ari D Norman Women’s gifts..